Which esport is for you, and where do you begin? Esports are a global phenomenon. They may not fill out football stadiums or have TV cable companies tussling over their rights, but they don’t need these traditional means of exposure. Esports have thrived thanks to the growth of video-streaming on the internet, and it’s in this arena that they are king. But it can be hard to know how exactly to get into esports. Where can you start watching them? How do you even learn the pro-level rules of an esport so you know what you’re watching? What’s the best place to keep up with industry news? We’re here to help you find your feet in this digital world. There’s a whole lot to learn, but once you set off down that road, you’ll find a spectacle as fiercely competitive (and popular) as any regular sport. MOBAs (multiplayer online battle arenas) like League of Legends and DOTA 2 are so popular that they’re practically synonymous with the term ‘esports’, but they’re not for everyone. In fact, they’re two of the more challenging games to get to grips with if you’re not familiar with their mechanics. Don’t let that put you off - they’re popular for a reason - but they may take a bit more work on your part. A safe starting point is to see if there’s an esports scene for a game or genre that you know quite well; something that you’re drawn to as a gamer and understand well enough to appreciate what’s happening on-screen. Are you more comfortable with the top-down perspective of strategy games or the first-person immersion of an FPS? Are you into the speed and fireballs of Street Fighter, or the fist-and-kicks and juggles of Tekken? Try to pick an esport that syncs up with the games you play. A good place to gauge what’s hot in esports is this list at esports earnings, which shows the top 100 esports ranked in order of prize money. The big hitters are there, but who’d have thought that Quake III Arena continues to thrive, or that Age of Empires II is still a thing? See what jumps out at you from the list. All these games have big competitive scenes, which means that they’ll be relatively easy to follow on Twitch and YouTube (just type [game name] tournament/finals/esports). You can probably find an esports scene for more obscure games too, but part of the fun and engagement is getting swept up in the culture around a given game, so we recommend picking something with an established following. Whether you’re getting into an esport you’re familiar with or diving into something completely new, watching a game requires a whole different level of understanding to casually playing it. So start watching tournaments, and always with commentary on. A good commentator fills the downtime in the action with tactical analysis and other insights that will help you understand the eSport on a deeper level; what does a great play in DOTA 2 look like? Where are the key armor pickups in a Quake Live match? How impressed should you be by that nifty corkscrew air dribble in the Rocket League World Championship? Whatever esports you pick, don’t just stop watching after 10 minutes because you don’t understand what’s going on. Get an understanding of it first, and then decide whether or not it’s for you. Eventually you’ll start learning whether you prefer more defence-minded teams or aggressive ones, and you’ll get some feel for the personalities behind the teams, which will naturally draw you to start supporting some over others. As with many sports, your engagement is tied into having teams and people to root for. It’s hard to get a feel for players when they’re transfixed to their screens with full gaming pokerfaces on, but head over to a team’s YouTube or Twitch channel, and you’ll see what the esports world looks like away from the big stage. Cloud9, for instance, are one of the biggest cross-game esports teams around, and have a great YouTube channel filled with interviews, AMAs and behind-the-scenes content. Same goes for Team Liquid, Evil Geniuses and myriad other esports teams. Even if you don’t support a given team, these channels give more personal insights into the world of esports, which you rarely get to see during actual games. All these teams also have Twitch channels, where you get to see them in action more casually with running commentary. Watching pros play on Twitch gives you first-hand insights into what you’re watching (if you’re lucky they may even reply to your comments!). Aside from the above-mentioned teams, some of the more famous Twitch pro gamers are CS:GO players Shroud, as well as former League of Legends pro player Dyrus (notorious - though also entertaining - for his fits of rage when things don’t go his way). You can also find official Twitch channels for Esports broadcasters like ESL, EsportsArena, and many more. For super-polished TV-quality coverage of esports, your best options are ESL TV and GINX TV, where you’ll find vast repositories of tournaments, schedules of upcoming events, and video features. Both of these sites have their own TV channels too. The world of esports is replete with player transfers, sponsorship deals, inter-team rivalries and intra-team bustups. Esports stars aren’t likely to appear in tabloid newspapers partying into the wee hours with celebrities, but this is a big, fast-growing industry with constant activity (and a fair share of controversy). Do your reading, and you can start developing opinions on whether forced roster swaps are a good thing, and the pros and cons of big-money organisations, football clubs, you-name-it having an ever-growing stake in the industry. So where should you get your esports digest? Esports Insider focuses largely on the business side of esports, looking at sponsorship deals, esport expansions into new countries, and opinion pieces about the industry. The Score esports looks at tournaments and esports culture, and has a great video section that covers the biggest games, controversies and events happening on the scene. 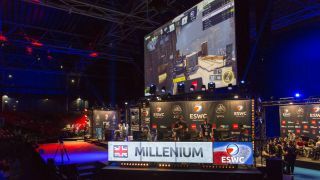 For UK-specific esports news, head over to esports-News. Even ESPN has a proper esports section these days, where you’ll also find a detailed calendar of major upcoming tournaments.